Goodbye Yoshiaki Kawajiri, hello Yosuke Hatta. The storyboarding duties change hands but Madhouse’s outsourcing policies never come to an end! Rushed production schedules have been a problem in the industry for many years, growing exponentially worse with time. Outsourcing this many episodes – especially early ones – essentially pushes the production 3 weeks forward for the in-house production teams. The second factor is also a very troubling one: lack of animation manpower and also production staff, such as production assistants. 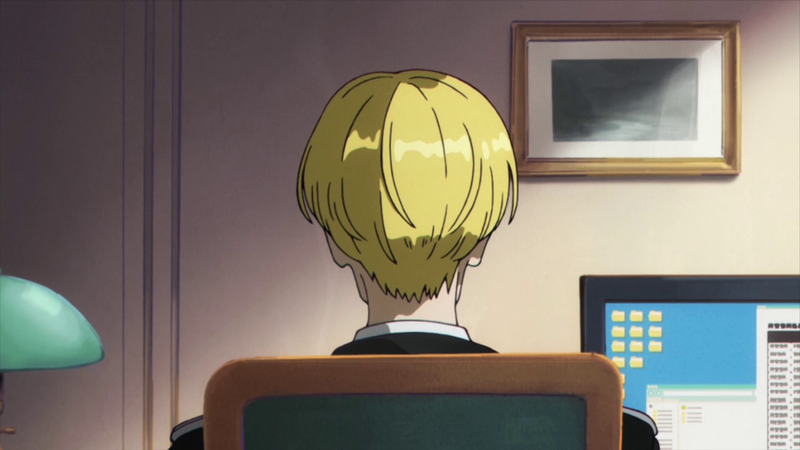 In ACCA’s case, the show seems to have only 3 active in-house production assistants (the people tasked with ensuring everything gets finished, to keep things short) and a production desk (a person who oversees the production assistants, working under the animation producer). 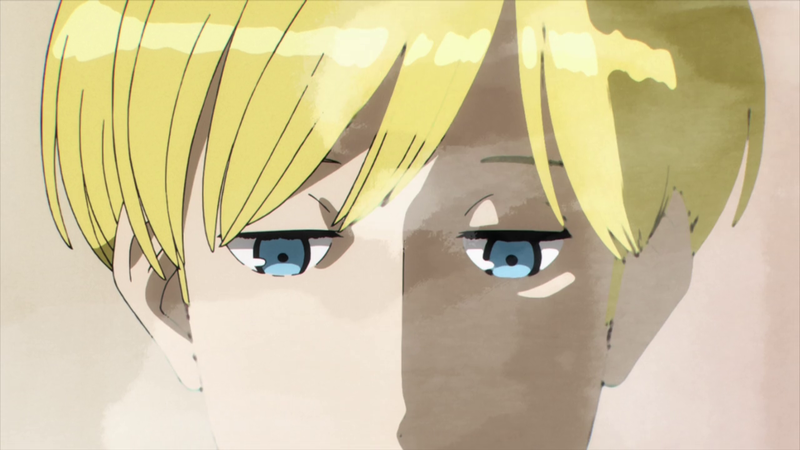 The first episode was handled by Misa Takahashi, the third one by Shuhei Honda and the fourth by Kenta Imazu. 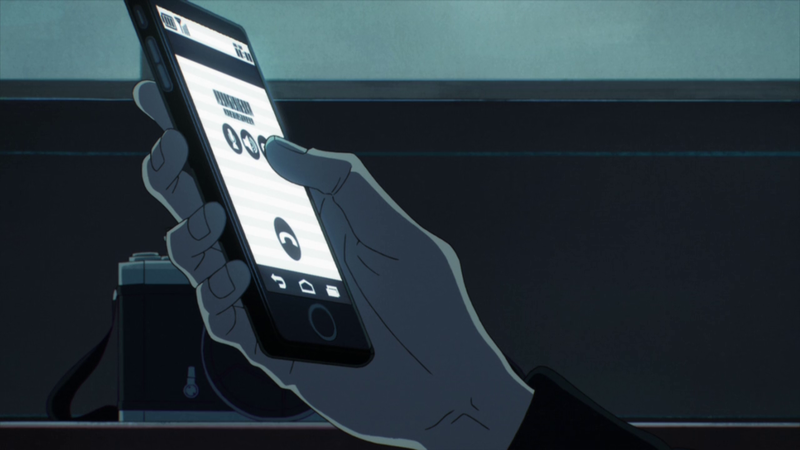 The next episode marked the return of the episode 3 team, again with Shuhei Honda handling production assistant duties. If Madhouse were to actually make every episode in-house, then Honda and the team would have likely been forced to do episodes 2 and 4 back to back; you can’t even imagine how stressful that would be when dealing with an unhealthy project. In a way, this showcases the rather poor situation that studio Madhouse is in. The jobs are there, but the staff isn’t. Outsourcing is only the solution, even if it leads to unsatisfactory results. — Yes, now that was more like it! A very important episode that was entrusted to Yosuke Hatta, who proved his excellent outing on episode 3 wasn’t just a one time wonder. His usage of diagonal shadows stood out once again, and we got to enjoy another beautifully staged intimate conversation – not as outstanding as the in the third episode, but still a step-up from Kawajiri’s work. 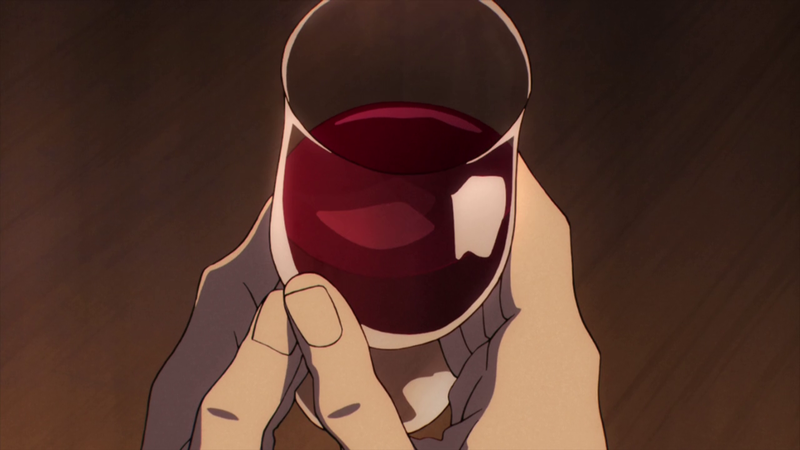 I especially liked the shot of Nino swirling his glass of wine. 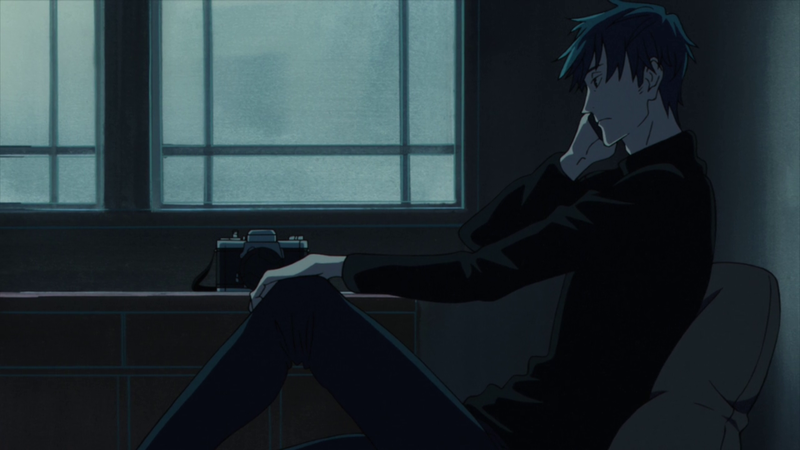 Another scene that left a strong impression was the sequence in Nino’s room when he’s on a phone; I’m not sure how much of it was due to the episode director’s direct input, but I absolutely adore this kind of color setting. It added to the mysterious nature of Nino’s character, plus the flow of the scene also felt very natural. 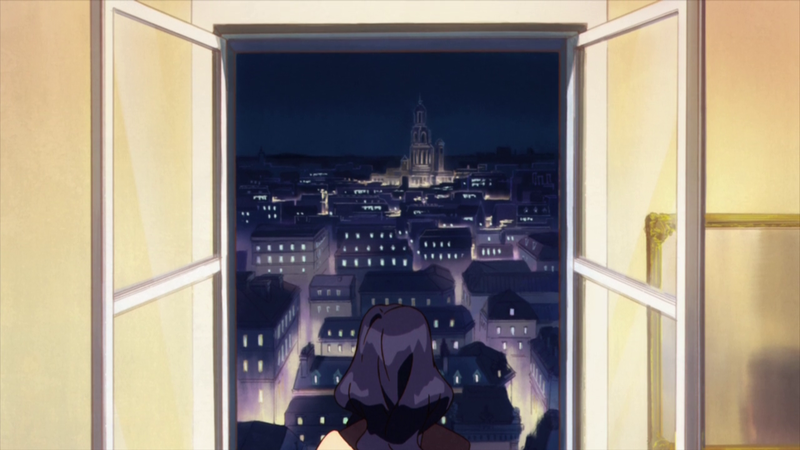 — The background art in this episode was nothing short of amazing. 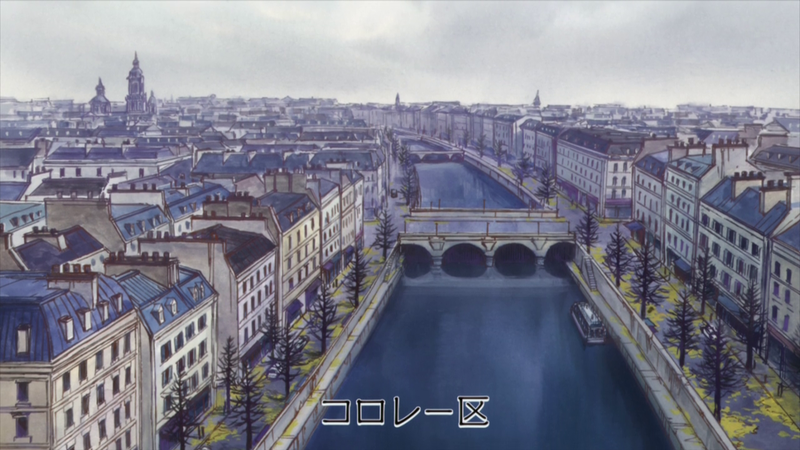 Korore district seems architectonically quite similar to episode 4’s Suitsu, which means art director Seiko Yoshioka was again in her element. 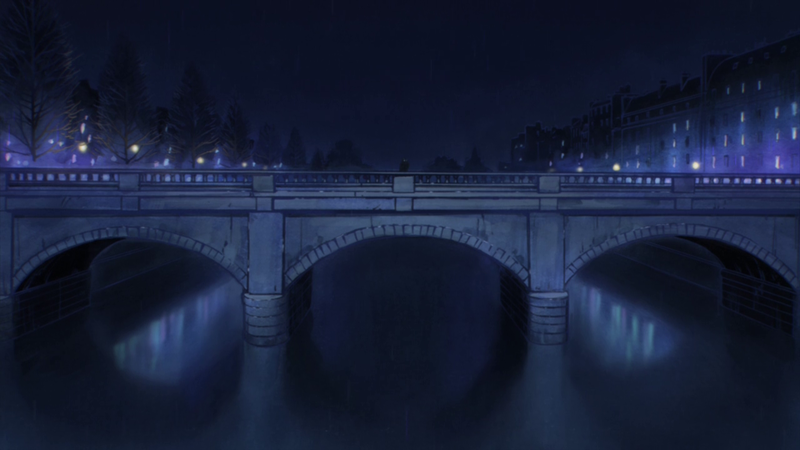 The very first shot of the district already speaks for itself, and the city looks attractive even on somber rainy nights. 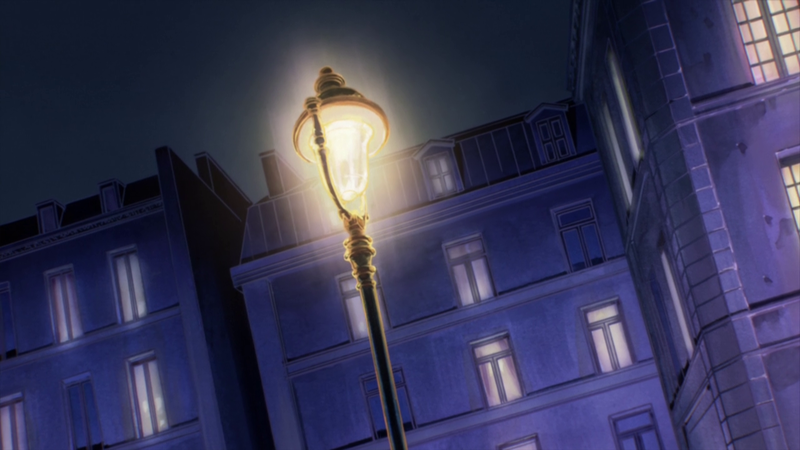 There’s no better companion for solid storyboards than outstanding sceneries to elevate them. — The animation credits featured some interesting names this time. 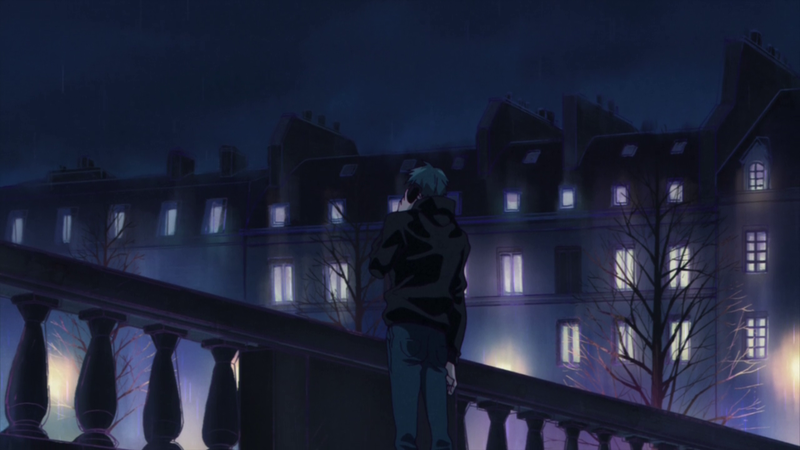 The show’s costume designer and webgen superstar Shun Enokido worked on the episode as co-animation director. He brought along some other excellent webgen animators, namely Shin Ogasawara who did some unforgetable cuts on Mob Psycho 100 and Takahito Sakazume, Enokido’s most frequent collaborator as of late – as Fate/GO fans are likely aware. The episode felt very polished in the same sense as the third one, which is unsurprising considering Kanako Yoshida and Keita Nagasaka both reprised their roles. We even got one animation highlight as shown below! I wish the movement this lively more often. It’s worth noting that even when Madhouse was at the peak of their size and output they still relied on heavy outsourcing for a lot of their projects (that weren’t “prestige” stuff with directors such as Yuasa). E.g., Kaiji S1 in 2007 was almost completely animated by DR Movie rather than any in-house animators. That was mostly because Maruyama’s practices, that we can see nowadays on Onihei, 7 of 7 episodes outsourced! On that time, it had a reason, at least, the studio had a lot of projects at once, so, the most prestigious ones was giving better staff, instead of wasting it on low key projects. Also, on that time, they had directors than can carry a outsourced episode and make it look impressive, like Hiroshi Hamasaki and Ryousuke Nakamura, not the bland direction that they give now because they are also out of directors. At least they now have some fresh and good talent that is being cultivated on series like this one, One Punch Man and All Out. Namely Yousuke Hatta and Shinichiro Ushijima, that surely are going to be the next ones to be ascended to Series Director duties, seeing how much trust the studio have on them, to support the actual fixture of the veterans Morio Asaka and Yuzo Sato, the young Atsuko Ishizuka and the animators-turned-directors Shingo Natsume and Kenichi Shimizu. That is a pretty small and less talented group compared to the 2000s Madhouse.